Register Peace & Freedom or Green (2019-04-21). Affordable Housing Means No on S.B.50. indybay.org The famous writer, James Baldwin, is back, in our San Francisco mailboxes on a fabulous, urgently needed slick mailer denouncing the racist, anti-labor SB50 luxury housing bill promoted by Democrat State Senator of San Francisco, formerly the worst San Francisco Supervisor in memory, Scott Weiner. Howie Hawkins (2019-04-20). 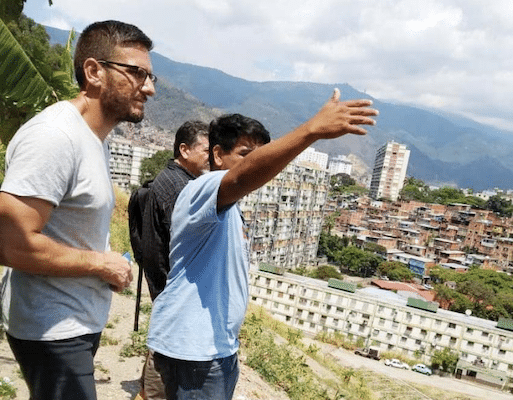 Earth Day, Planetary Boundaries, and the Green New Deal. 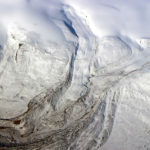 globalresearch.ca As we celebrate Earth Day in 2019, we need to recognize that more than climate change threatens our environment and our very existence. We have passed or are approaching several Planetary Boundaries outside of which human society may not survive…. WSWS (2019-04-20). 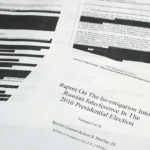 The Mueller report and the campaign against Russia. wsws.org An editorial in the New York Times makes clear that the central purpose of the Democrats' campaign against Trump has been to demand more aggressive action against Russia. WSWS (2019-04-19). 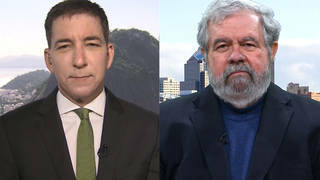 Mueller report re-ignites political warfare in Washington. 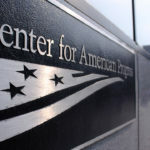 wsws.org Congressional Democrats and their media backers are seeking to use the findings of the investigation to boost their right-wing anti-Russia campaign. James Risen (2019-04-19). William Barr Misled Everyone About the Mueller Report. Now Democrats Are Calling for His Resignation. theintercept.com Instead of an honest reading of the Mueller report, Trump's attorney general distorted it. Now, Democrats are calling for his resignation. RT (2019-04-19). 'Total bulls**t': Trump blasts 'fabricated' statements in Mueller report. rt.com US President Donald Trump unleashed scathing remarks about special counsel Robert Mueller's "crazy" report on Friday, saying it was written by "angry Democrats" and contains statements which are "total bulls**t."
Democracy Now! (2019-04-18). 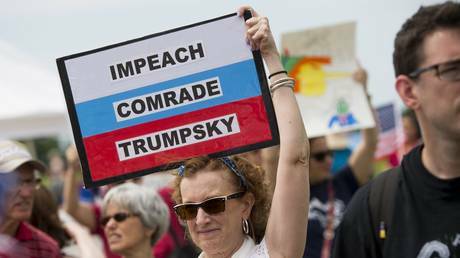 Chomsky: By Focusing on Russia, Democrats Handed Trump a "Huge Gift" & Possibly the 2020 Election. 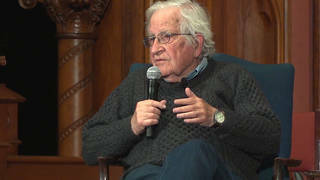 democracynow.org As Attorney General William Barr releases Robert Mueller's long-anticipated report into Russian interference in the 2016 election, we speak with world-renowned political dissident, linguist and author Noam Chomsky about what he sees as the political perils of "Russiagate." Democracy Now! (2019-04-18). 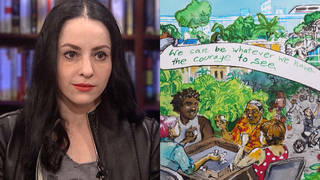 "We Can Be Whatever We Have the Courage to See": Molly Crabapple's Art Breathes Life Into Green New Deal. democracynow.org "We can be whatever we have the courage to see." 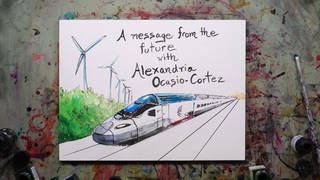 That's the message of a stunning new video released by The Intercept, Naomi Klein and award-winning artist Molly Crabapple Wednesday that imagines a future shaped by the Green New Deal. It's called "A Message from the Future with Alexandria Ocasio-Cortez." 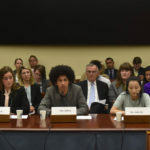 The film was co-written by Alexandria Ocasio-Cortez herself, along with Avi Lewis, the co-founder of The Leap. We speak with Avi Lewis and award-winning artist Molly Crabapple about the power of art to create social change. Democracy Now! (2019-04-18). Noam Chomsky: The Green New Deal Is Exactly the Right Idea. 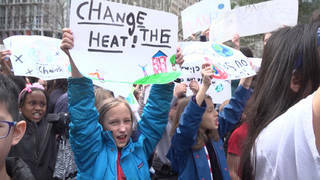 democracynow.org Supporters of the Green New Deal are launching a nationwide tour Thursday to build support for the congressional resolution to transform the U.S. economy through funding renewable energy while ending U.S. carbon dioxide emissions by 2030. Democracy Now! 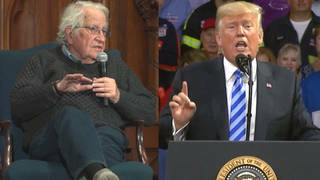 spoke with Noam Chomsky about the Green New Deal and the lessons of the old New Deal in Boston last week. Robert Lowes (2019-04-18). Walgreens' New Level of Hypocrisy. progressive.org As it continues to sell cigarettes, the pharmacy chain is rolling out a new cosmetics program for cancer patients. Glenn Greenwald (2019-04-18). Robert Mueller Did Not Merely Reject the Trump-Russia Conspiracy Theories. He Obliterated Them. theintercept.com Certain facts will never go away no matter how much media elites deny them. That Mueller charged no Americans with election conspiracy crimes is the most fatal. 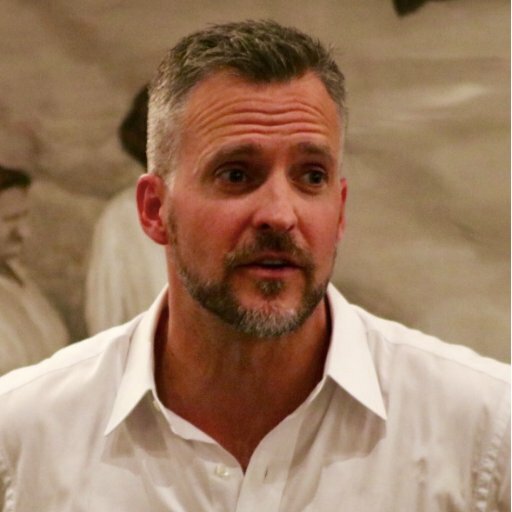 Robert Mackey (2019-04-17). Nancy Pelosi Takes Control of U.S. Foreign Policy on Brexit With Stark Warning to U.K. theintercept.com In Dublin, Nancy Pelosi said Congress would block any trade deal with the U.K. if the British exit from the EU threatens the peace in Northern Ireland. Democracy Now! (2019-04-15). Bill McKibben: Green New Deal Is a Chance to "Remake Not Just a Broken Planet, But a Broken Society" democracynow.org President Trump signed two executive orders last week to facilitate the approval of pipeline projects at a federal level, limiting states' ability to regulate such projects. The move is intended in part to clear the way for permitting on the northeastern Constitution pipeline, which has stalled after New York invoked the Clean Water Act to reject the project on environmental grounds. We speak with Bill McKibben, co-founder of 350.org and the author of the new book "Falter: Has the Human Game Begun to Play Itself Out?" Ruth Conniff (2019-04-15). Bernie Barnstorms the Midwest. progressive.org "I can understand why people voted for Trump based on what he said. For too long the political establishment did not listen to the needs of working families." Posted on 2019-04-21 by J. The famous writer, James Baldwin, is back, in our San Francisco mailboxes on a fabulous, urgently needed slick mailer denouncing the racist, anti-labor SB50 luxury housing bill promoted by Democrat State Senator of San Francisco, formerly the worst San Francisco Supervisor in memory, Scott Weiner. 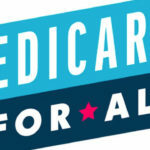 The Iron Fist of "Free Trade"
As we celebrate Earth Day in 2019, we need to recognize that more than climate change threatens our environment and our very existence. We have passed or are approaching several Planetary Boundaries outside of which human society may not survive…. An editorial in the New York Times makes clear that the central purpose of the Democrats' campaign against Trump has been to demand more aggressive action against Russia. Congressional Democrats and their media backers are seeking to use the findings of the investigation to boost their right-wing anti-Russia campaign. Instead of an honest reading of the Mueller report, Trump's attorney general distorted it. Now, Democrats are calling for his resignation. Certain facts will never go away no matter how much media elites deny them. That Mueller charged no Americans with election conspiracy crimes is the most fatal. "I can understand why people voted for Trump based on what he said. 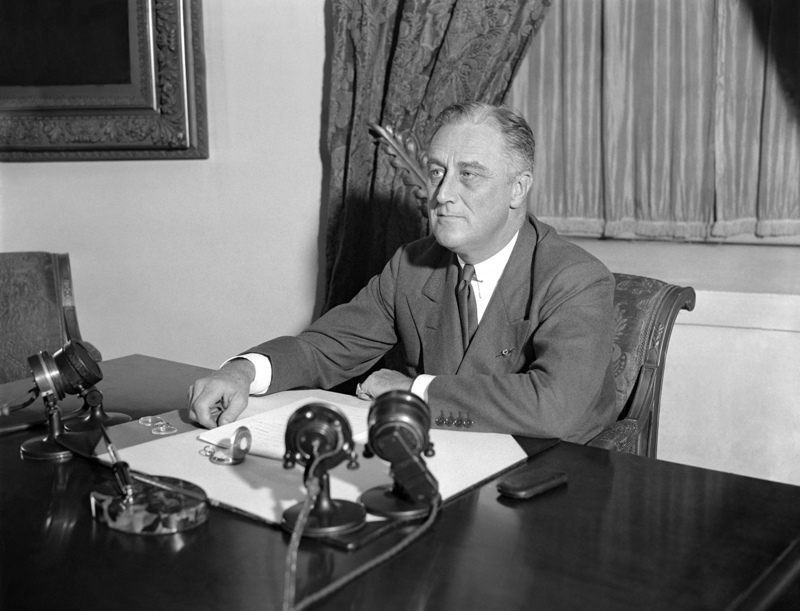 For too long the political establishment did not listen to the needs of working families." 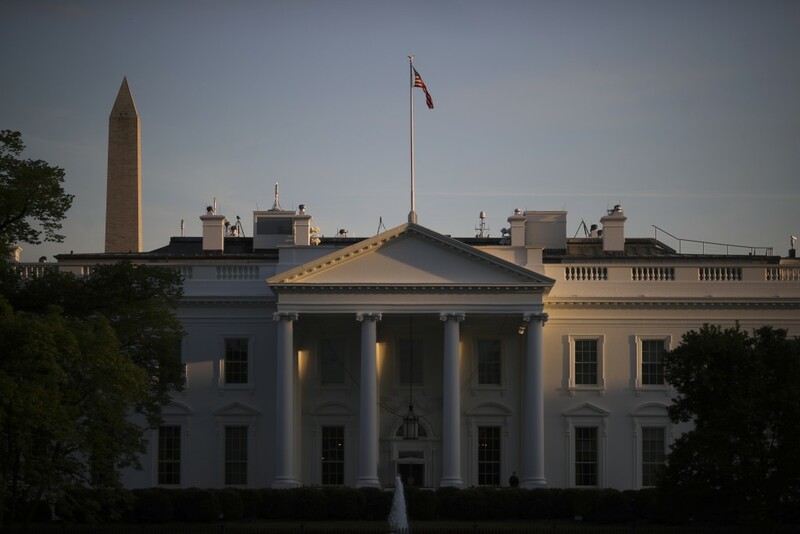 President Trump signed two executive orders last week to facilitate the approval of pipeline projects at a federal level, limiting states' ability to regulate such projects. The move is intended in part to clear the way for permitting on the northeastern Constitution pipeline, which has stalled after New York invoked the Clean Water Act to reject the project on environmental grounds. We speak with Bill McKibben, co-founder of 350.org and the author of the new book "Falter: Has the Human Game Begun to Play Itself Out?"